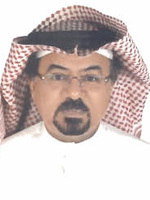 Dr. Ali Awadh Salem Al Amoudi. M.Sc. & PhD in Environmental Engineering / USA. Former Sustainable Development Advisor (SDA) for the United Nation Development Programme (UNDP) (1993 – 1997). More than 35 Years of Experience in the Field of Environment: Scientific Research; Scientific Publications; Management; Field Surveys; Capacity Building; Awareness ( local, Regional & International ) and Conferences. Member of the First UAE National Environmental Stratigic Committee for Agenda 21 (Millennium). A United Nation Global Initiative after REO – UNCED Conference 1992. Environmental Advisor for UAE Federal Environmental Agency (FEA) 1997 – 2007 ( Abu Dhabi). Published Scientific Environmental Papers in International Bulletins Conferences Proceedings & Magazines during research work at Kuwait Institute for Scientific research (KISR)( 1977-1990). Published Environmental Articles (Arabic & English) in local, Regional & International Magazines & Newspapers. Also participated in Media (Local ; International T.V. Channels; & Radio) Interviews). Represented UAE; Kuwait; UNDP & Yemen in local; Regional & International Conventions; Symposiums & Conferences. Several Awards & Certificates awarded in Environmental Achievements. First in UAE to propose to publish a Book on the Environmental Achievements of the Late Sheikh Zayed Bin Sultan Al Nahayan – May His Soul rest in Peace. Contributed with the text material of the 1st Env. Book entitled “ZAYED Man of the Environment” (in Arabic).Also, 2 other Books were the publisher during work at the former UAE – Federal Environmental Agency (FEA). Main contributor to the GCC Environmental Award (2007 – 2008) awarded to Abu Dhabi Oil Refining Company (TAKREER) as “The Best Industrial Establishment that Comply with Environmental Standards. Member of several Civil Societies & NGO’s in the field of Environment & Sustainable Development. Member of International Green Societies, e.g. United nation Volunteers (UNV); Global Green Building Society…etc. Senior Environmental Engineer at TAKREER / ADNOC, responsible for Daily, weekly and monthly reporting on Air Quality Monitoring System (AQMS); Ambient Air Emissions; Waste Management ( Hazardous Waste); Oil Spill – Tier 1 Preparedness & Readiness; NORM projects; Renewable Energy Initiatives & Sustainable Green Approach. Managing Takreer Corporate Five (5) Years Environmental Plan (e.g 2015 – 2019). Managing Renewable Energy activities and implementation. Officer –in- Charge (OIC) for the preparation of Takreer Annual Sustainability report. Takreer representative in ADNOC Sustainability Committee. Managing activities of Takreer Environmental Engineers Committee meetings. Main performer & facilitator for “GCC Environmental Prize – 2009” won by Takreer as “The Best Industrial Establishment that comply with the Environmental Standards in GCC region”. First to initiate a Proposal for Carpooling Sustainable Transportation for Takreer Company Employees, after the New Regulation of Fuel Prices at UAE. Developed new mechanisms foe Energy Efficiency & Management at Company Using Natural Gas for Vehicles (NGV) as Green Fuel for Company Vehicles in Abu Dhabi. Professional trainer & Coaching in Sustainable development subjects; Environmental Impact assessments (EIA); Green Prospective in Current Urban Developments; Mitigation of Environmental Impacts on Human; Land & Biodiversity.